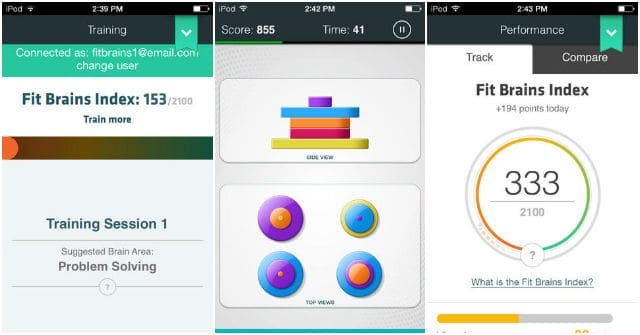 Meet the 5 of the best brain training games for iPhone to train your mind; concentration exercises, analysis and calculation to make your mind quick. Discover how to train your mental capabilities. Our brain is just like a muscle that needs regular exercise and challenge to grow to its full potential. Some research shows that brain stimulation can help prevent age-related cognitive decline, reverse behavioral assessment declines in dementia and Alzheimer. 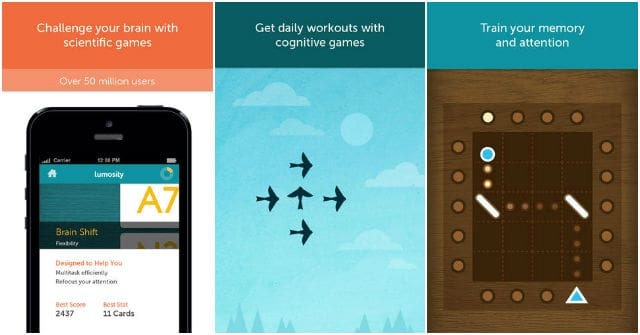 Here are some of the best free iPhone apps and games to train your brain a little while having fun. Start your daily brain workout today! Stimulate and improve your brain health, memory and learning capacity in a fun and enjoyable way. Lumosity Brain Trainer is one of the best iPhone applications that exist to train the brain and includes 10 brain games scientifically designed to enhance your memory, attention, processing speed, mental flexibility and problem solving. Playing these brain games a few minutes every day will help you achieve the best results. Note that the app can offer personalized brain training according to your needs, which must be specified when starting the app. You will need a Facebook account or email to start playing. 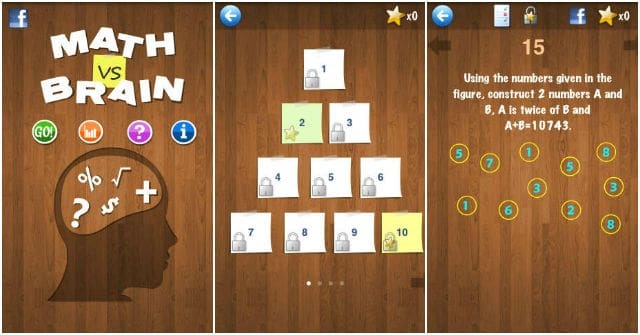 Math vs Brain is a math question solving game in which your goal is to solve all mathematical problems for each challenge and collect as many stars as possible. The game is suitable for all ages, and you can even play with your friend or family any time anywhere. Now you can enjoy the famous pastimes of logic and Japanese origin in mobile through this application. 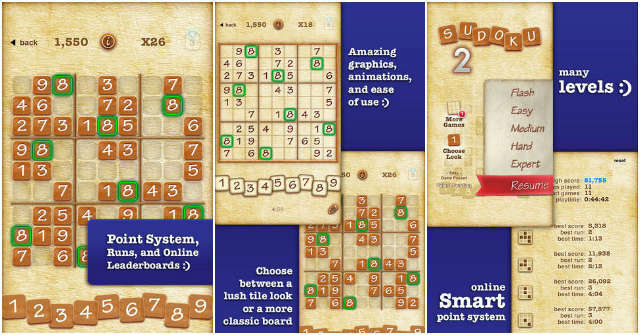 Sudoku is a very popular game that invites you to fill the nine rows and columns with the series of numbers from 1 to 9, without repeating the same row, column or subgrid. Really, it’s a challenge improves concentration. Clockwork Brain includes a good amount of mini-games with which you can test various cognitive abilities such as visual, spatial, logic, language, arithmetic, and memory. Clockwork Brain allows full integration with OpenFeint and Game Center to share your score and compete against others. 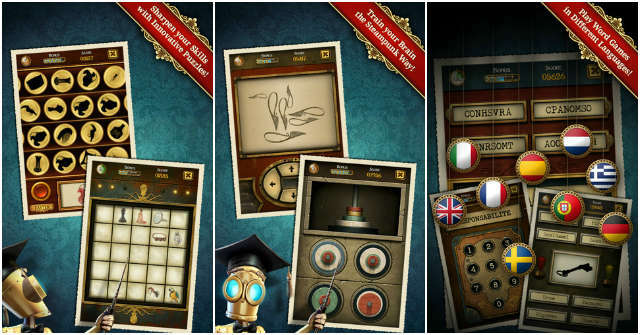 Train your brain and challenge yourself with Clockwork Brain! Brain School Training is a game designed to improve cognitive skills full of easy and complicated puzzles, number games, word games, memory and stop counting, you must complete in the shortest possible time to be surpassing levels. Fit Brains Trainer is a very good program to train your brain that includes more than 360 training sessions that will test your memory, mental agility, concentration, powers of deduction and visual perception. Using the app for a few minutes evryday will help improve mental abilities. 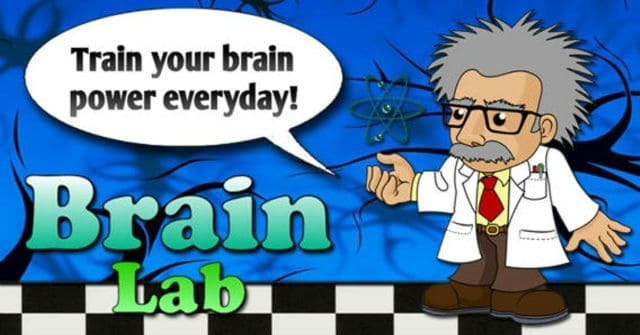 Brain Labs is an educational game for all ages that aims to improve short-term logic, calculation and visual memory skills. 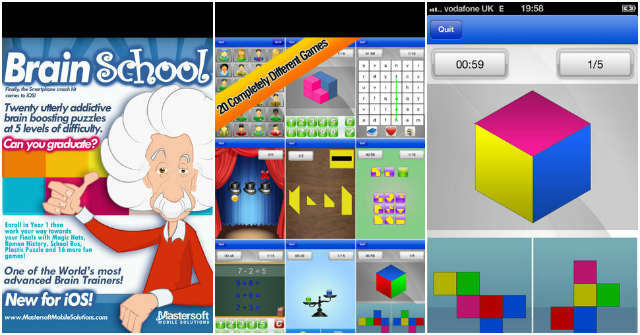 The game includes mental and brain training games and math games, logical and puzzle. This fun app is more of a game dedicated to all fans of geography contests. 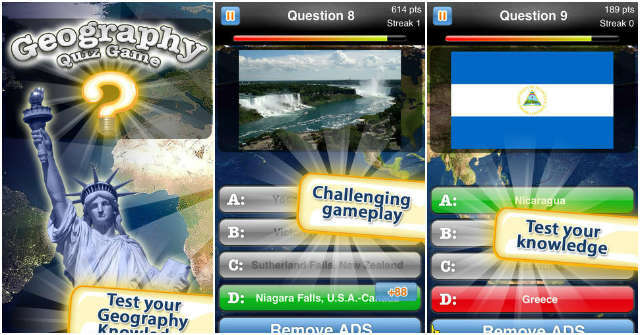 Geography Quiz Game is an excellent app for those who like to challenge your knowledge and have fun at the same time. It helps you remember capitals you had forget and learn to locate monuments, mountains and different parts of the planet earth. Memory is something that can hopefully improve with continuous training and exercises. These applications have the common goal of strengthening and improving it, but only useful as long as you use them consistently. What other game to train your mind recommend?